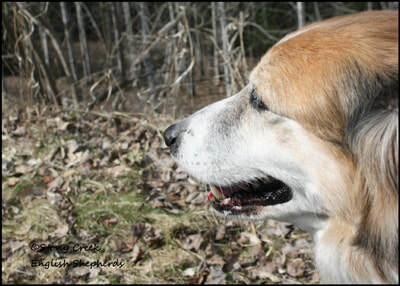 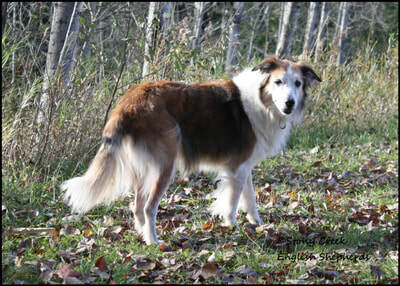 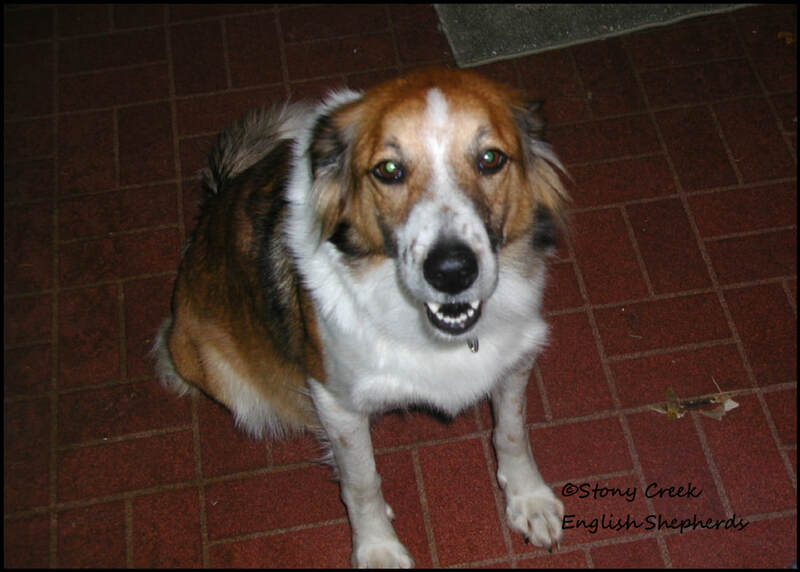 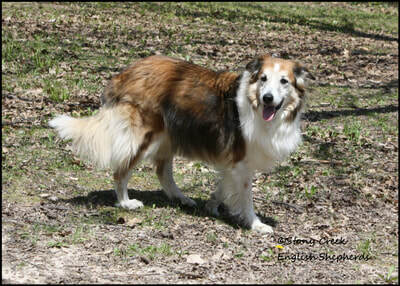 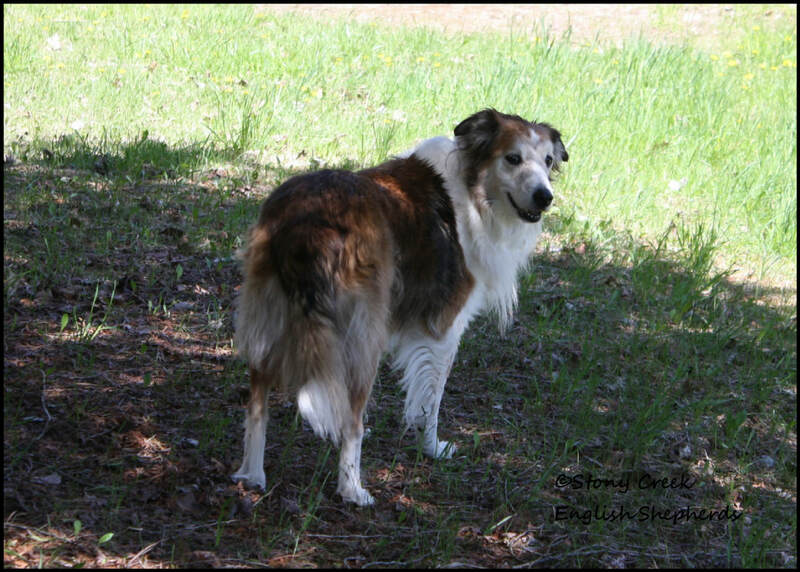 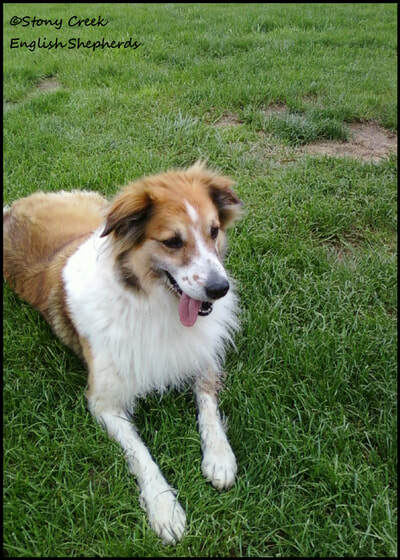 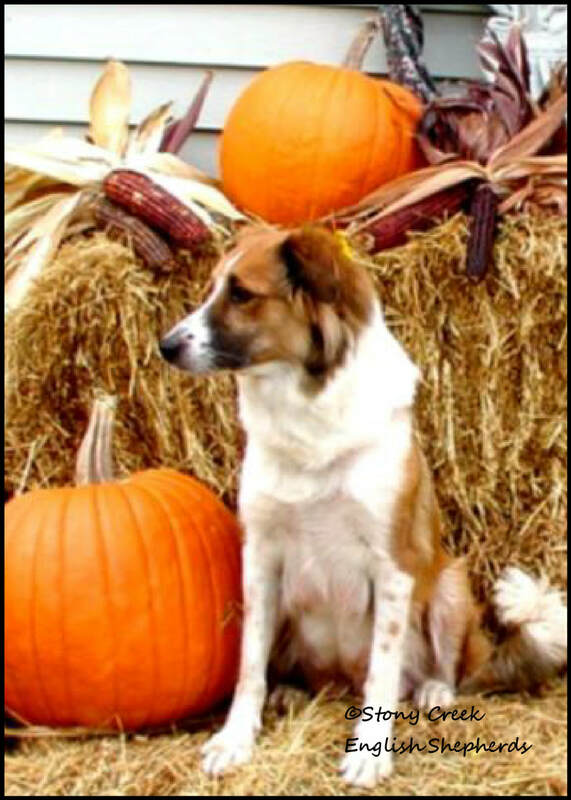 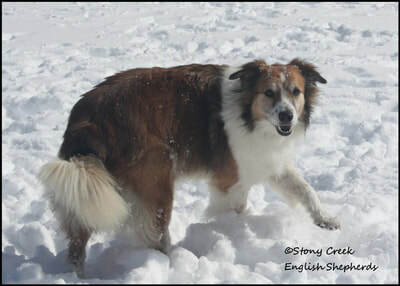 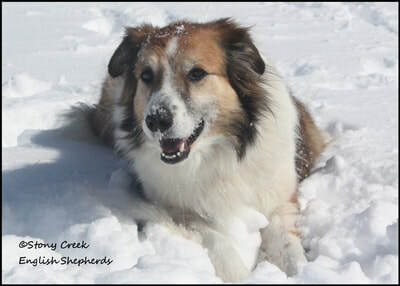 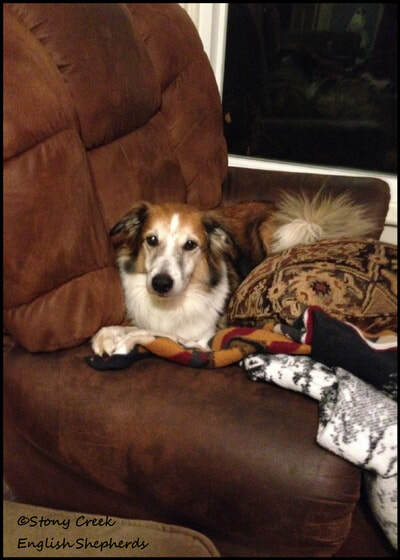 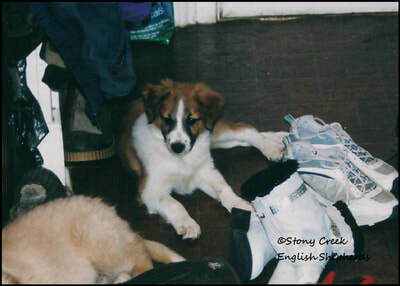 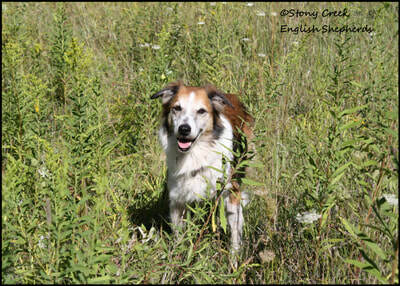 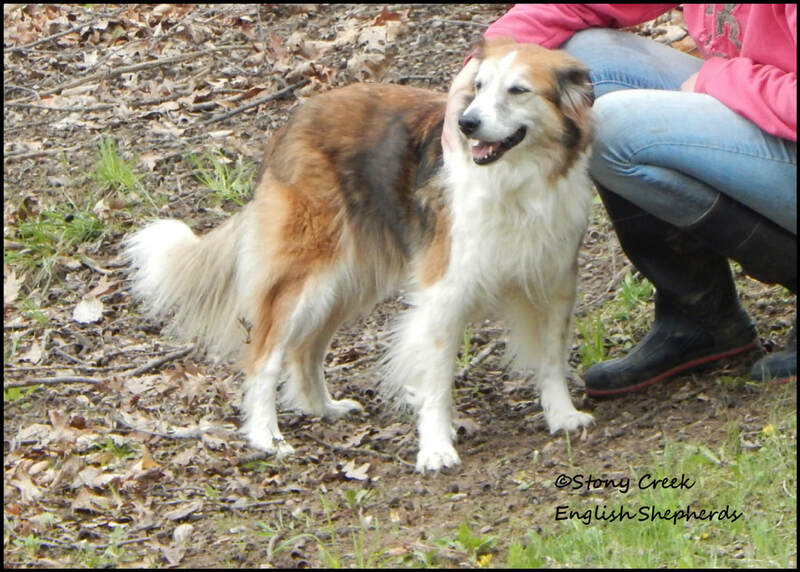 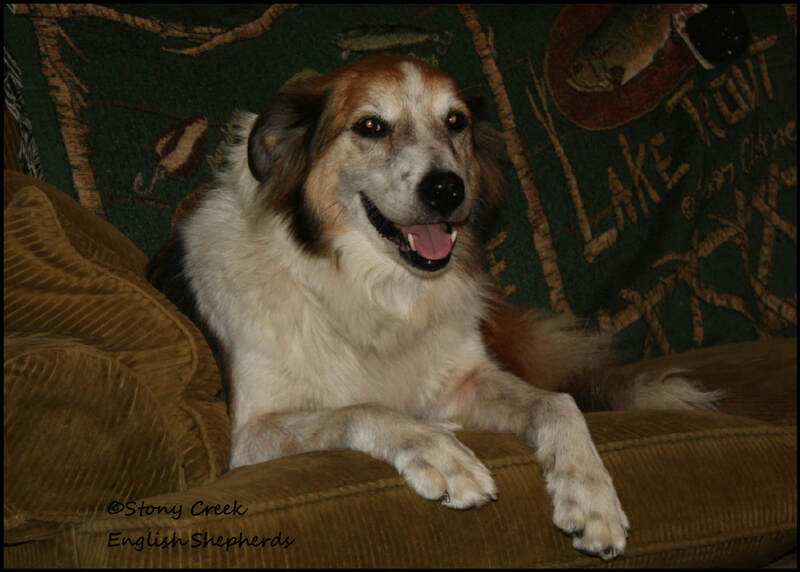 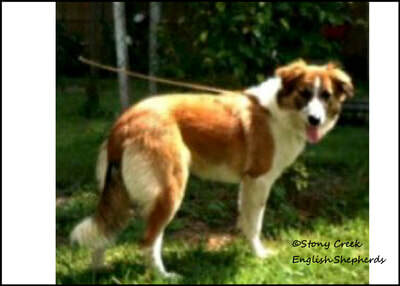 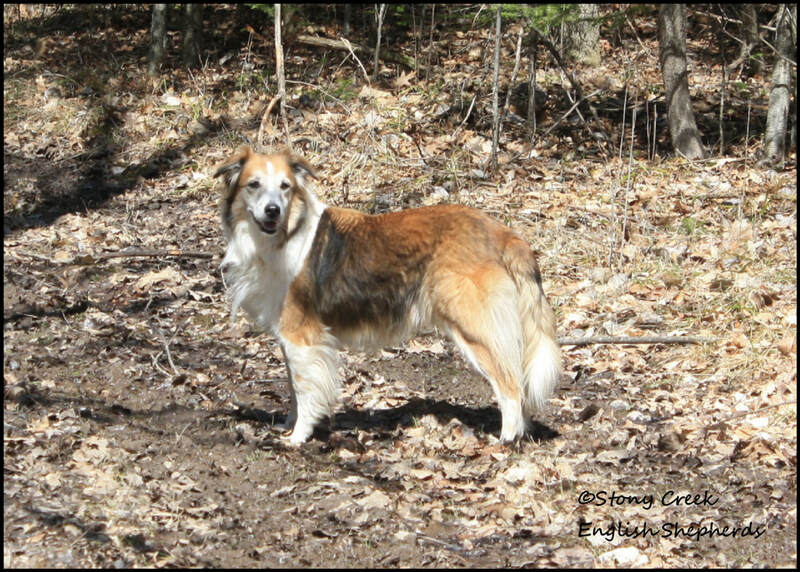 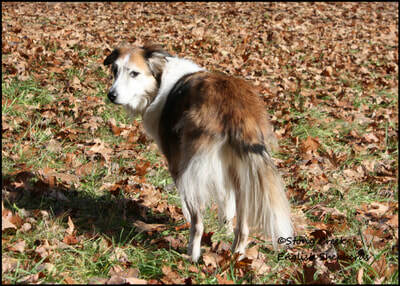 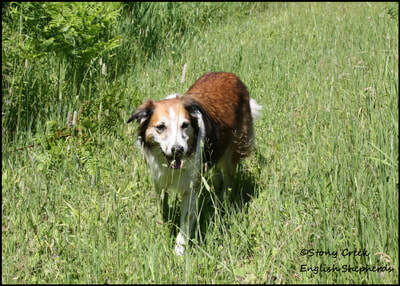 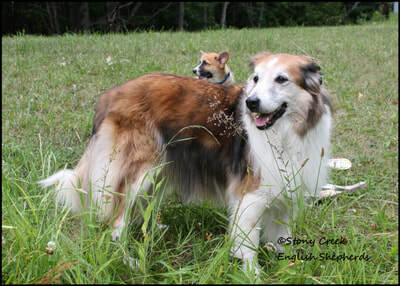 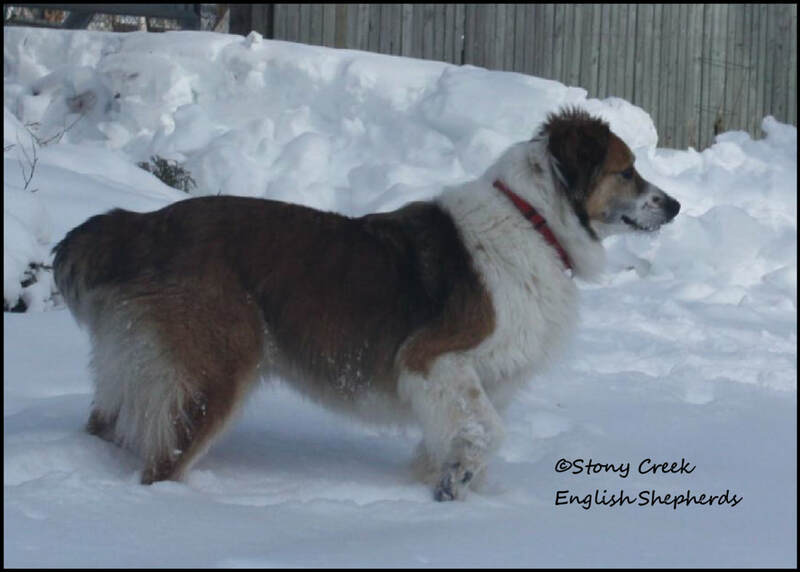 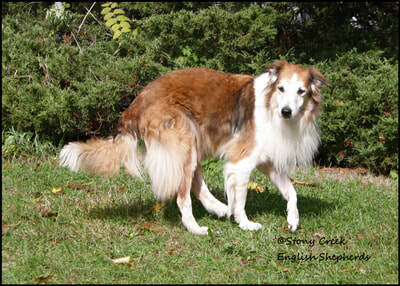 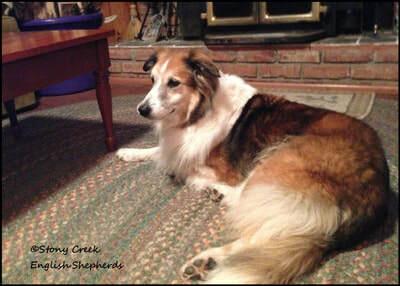 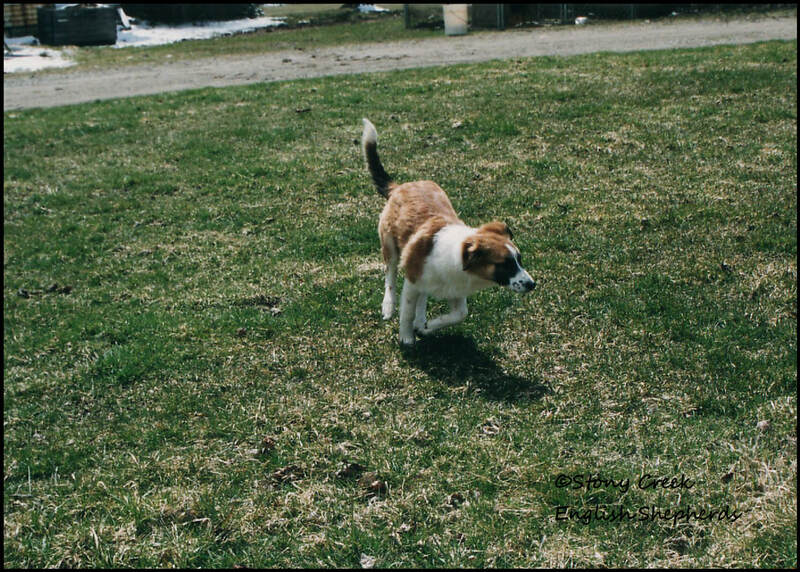 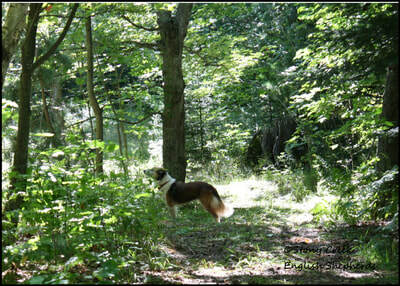 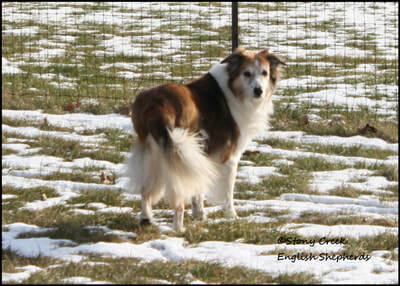 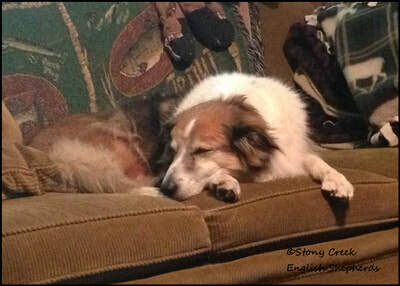 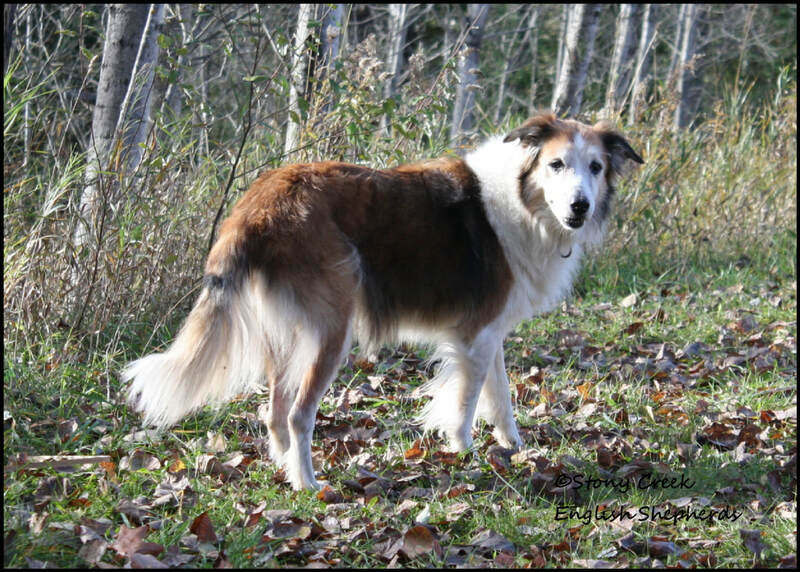 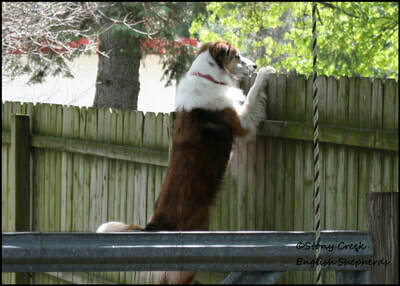 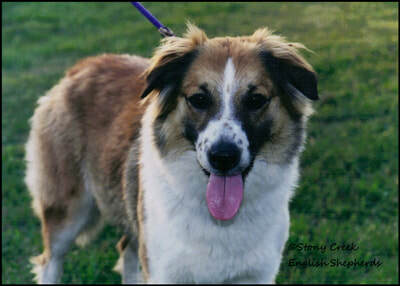 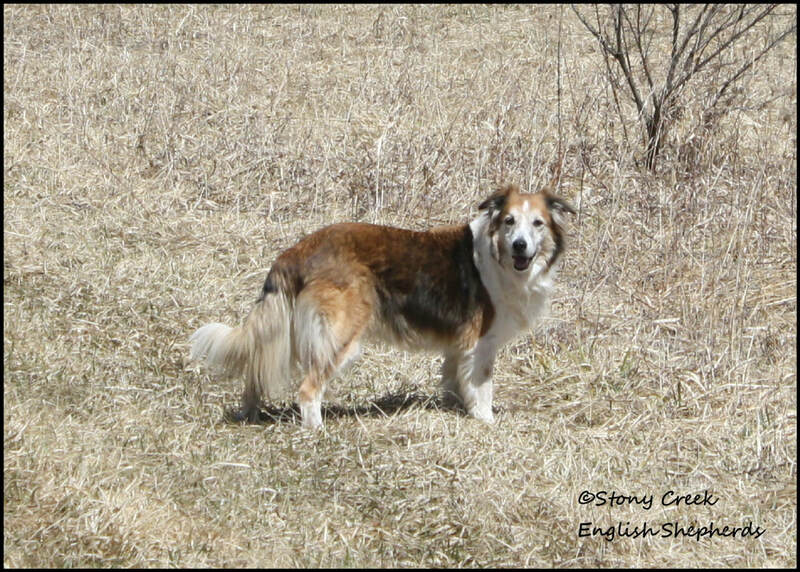 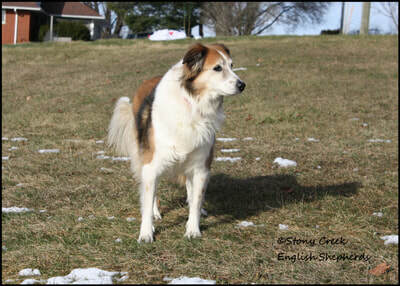 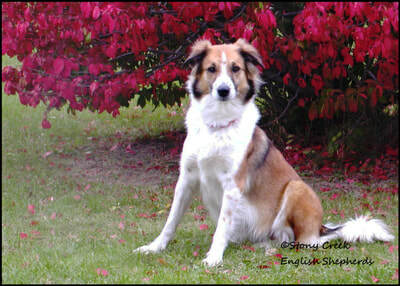 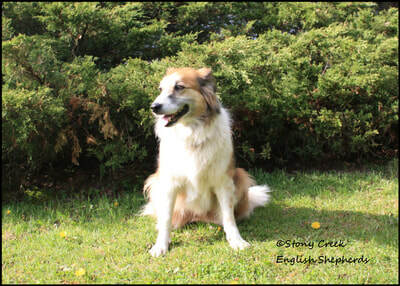 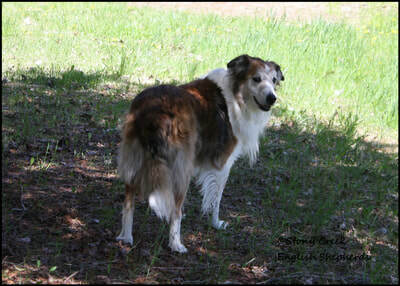 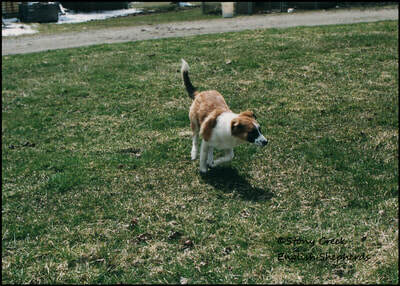 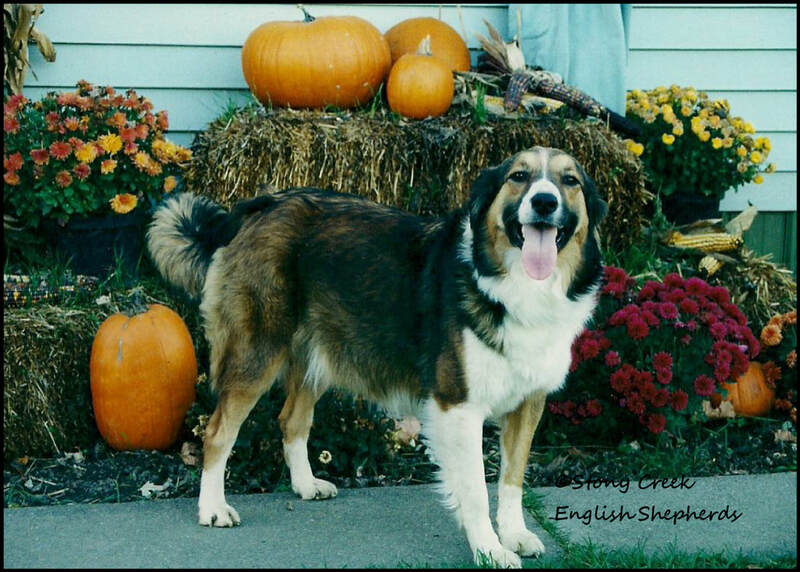 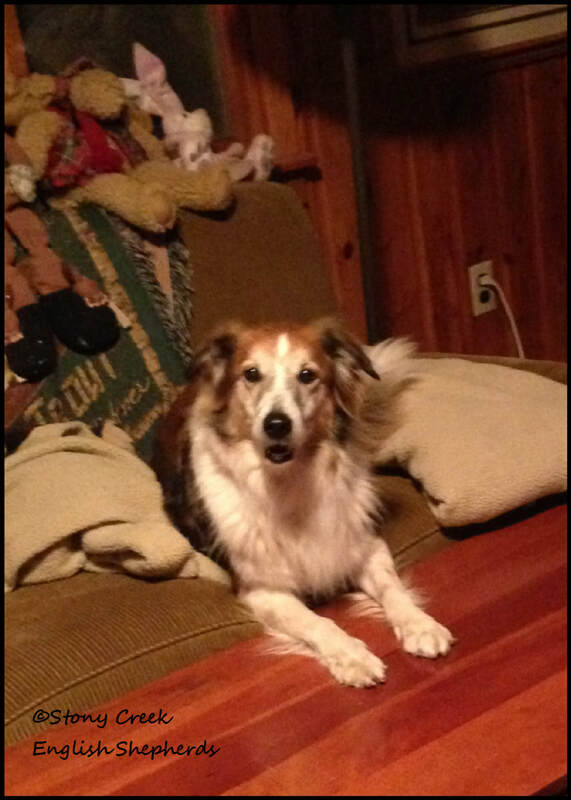 Kati is a 40 pound sable & white female with traditional Irish markings. 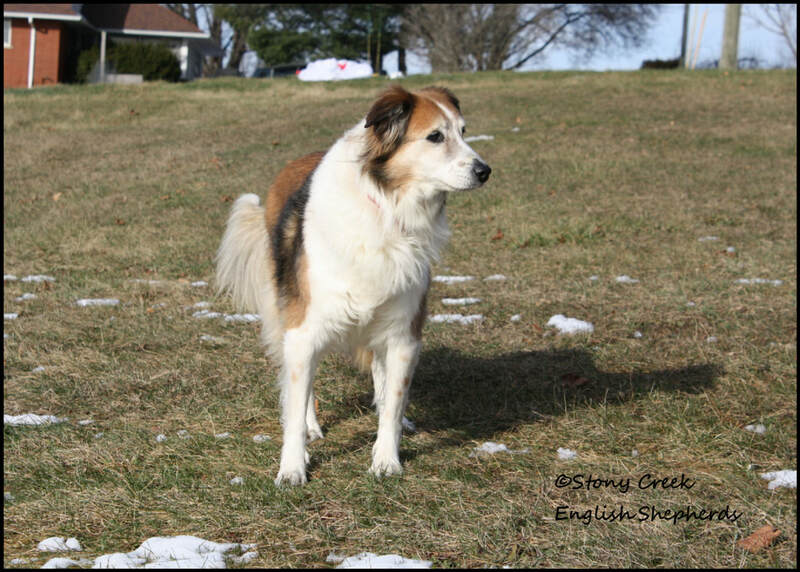 She is from our "K" litter & is Rhyan's heart dog. 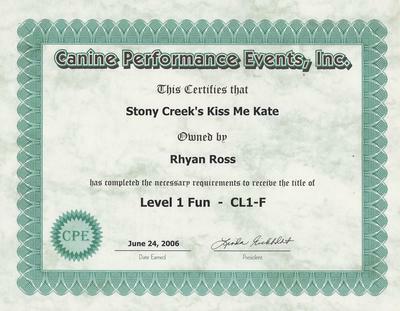 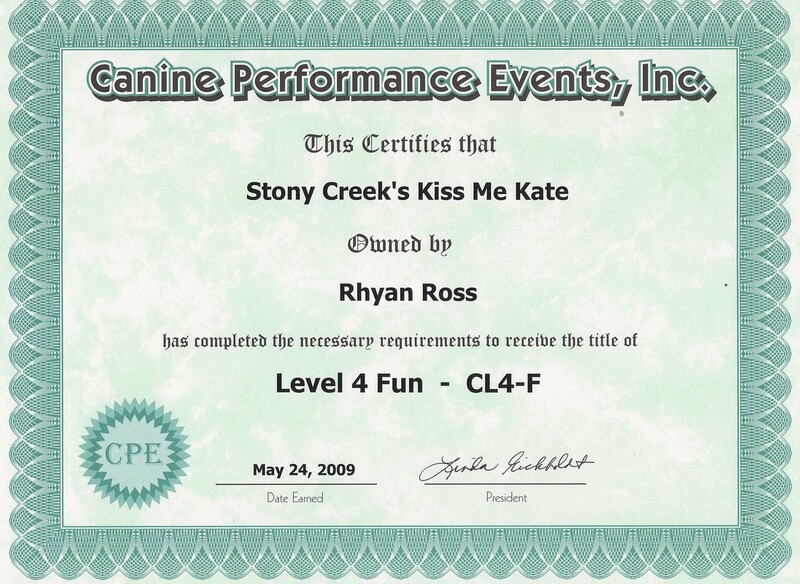 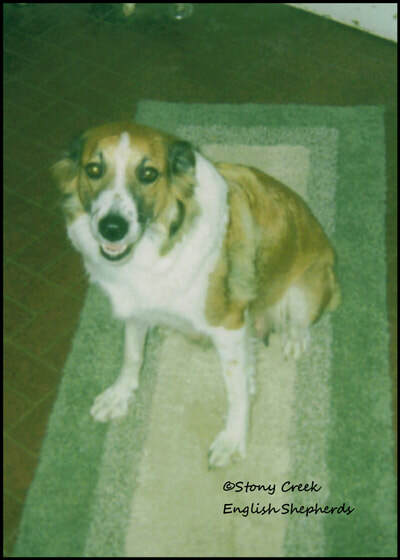 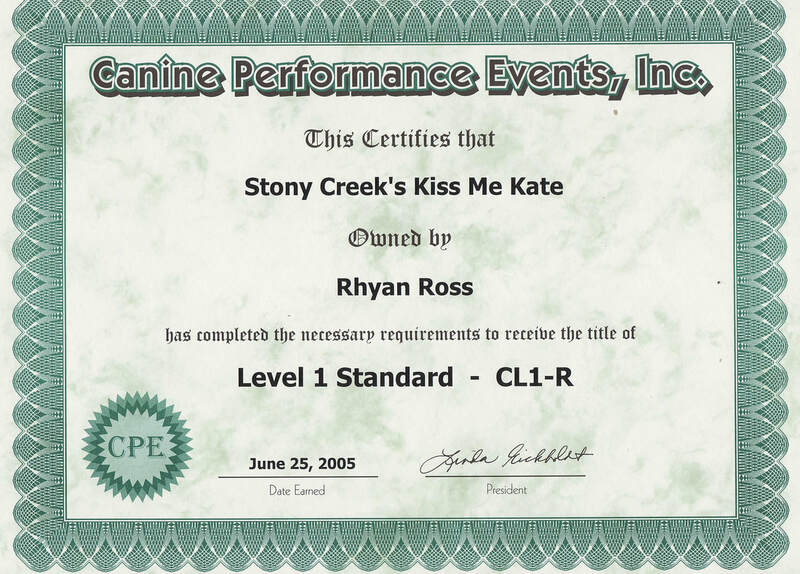 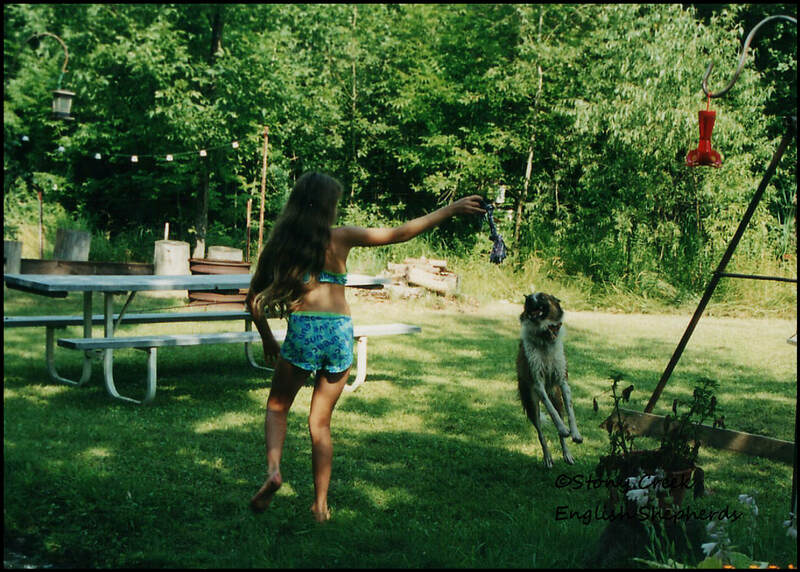 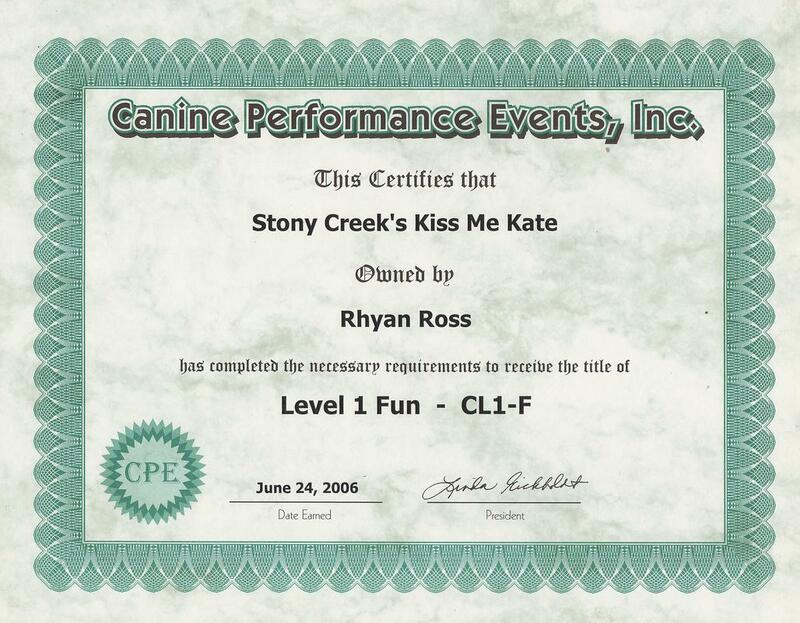 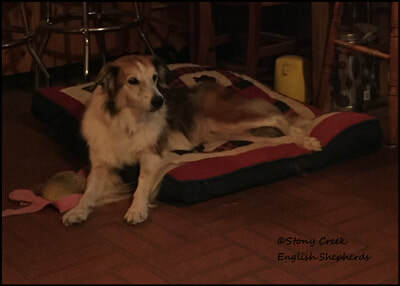 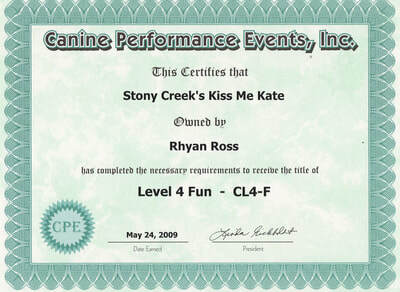 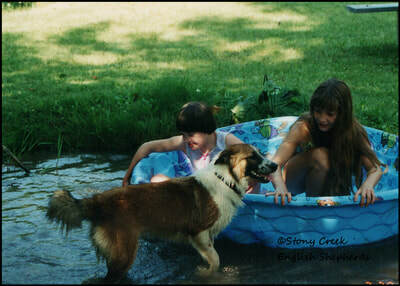 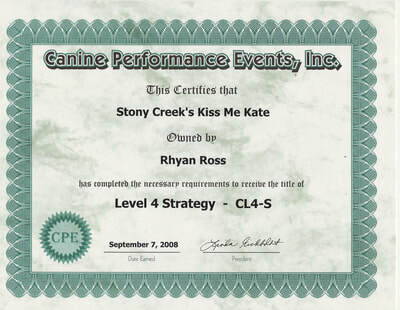 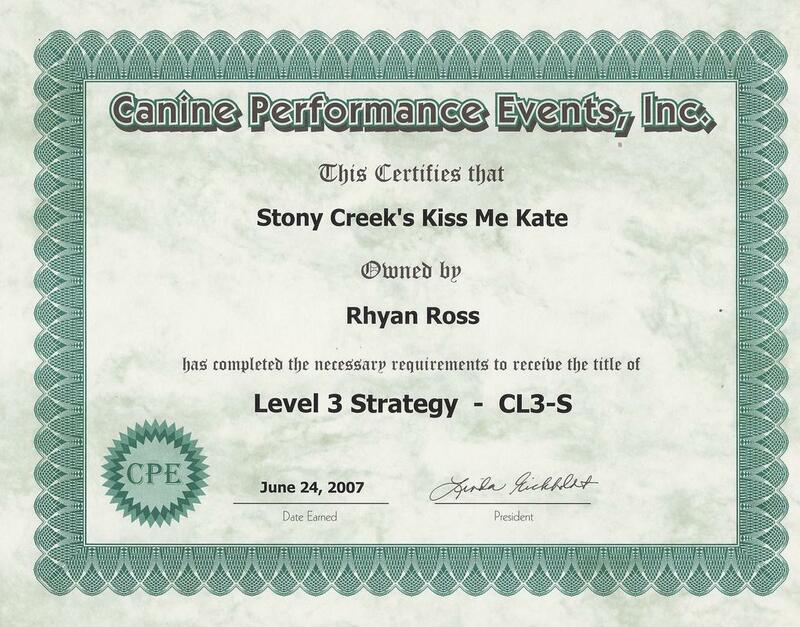 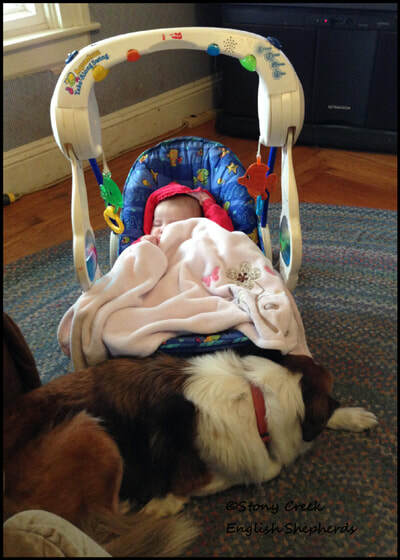 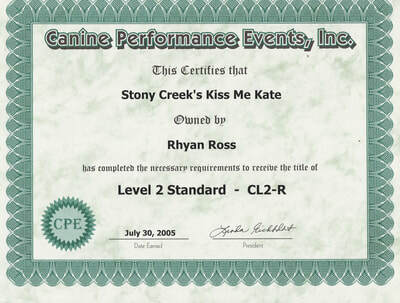 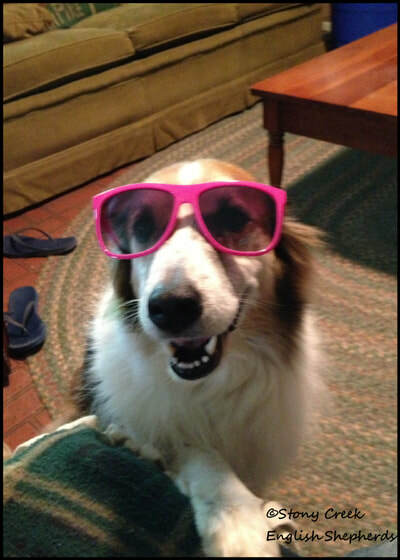 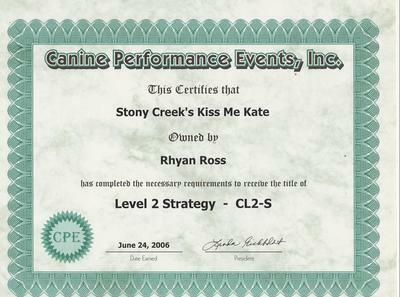 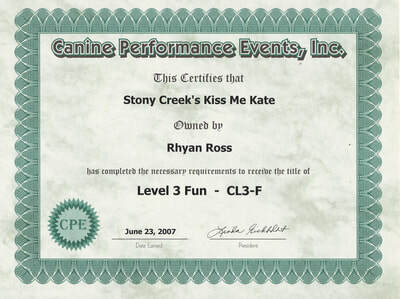 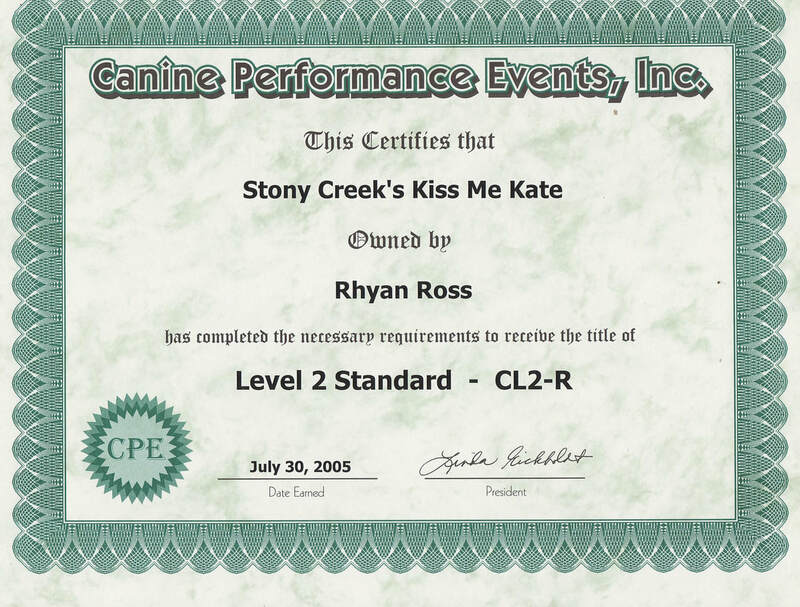 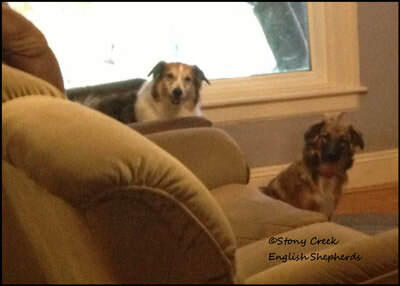 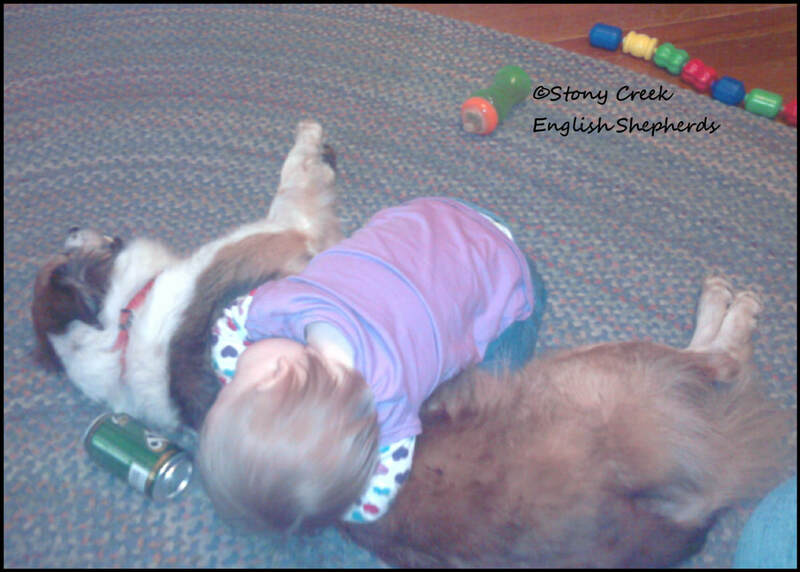 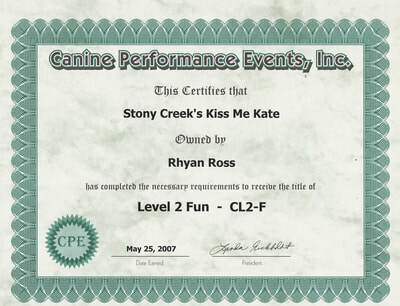 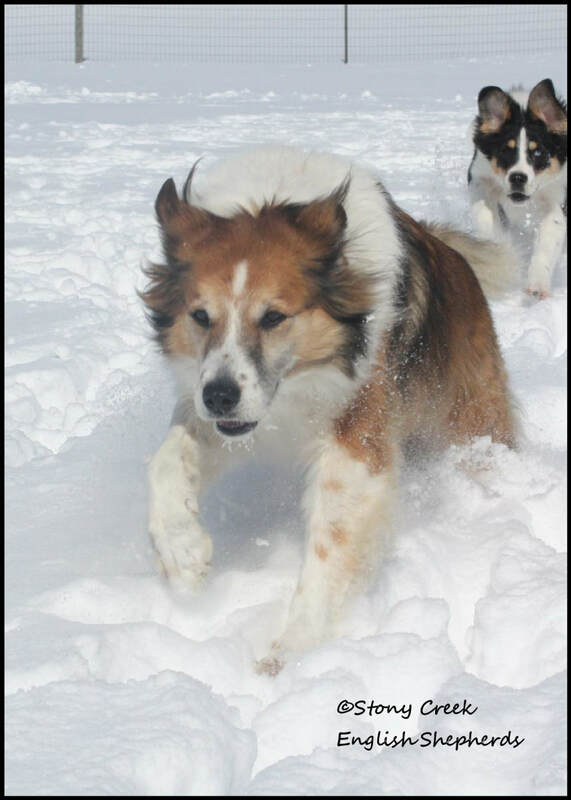 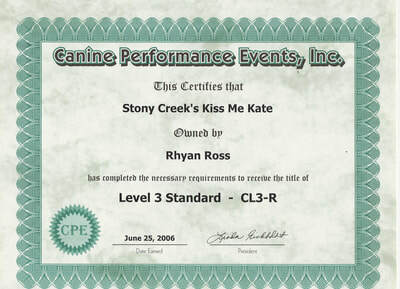 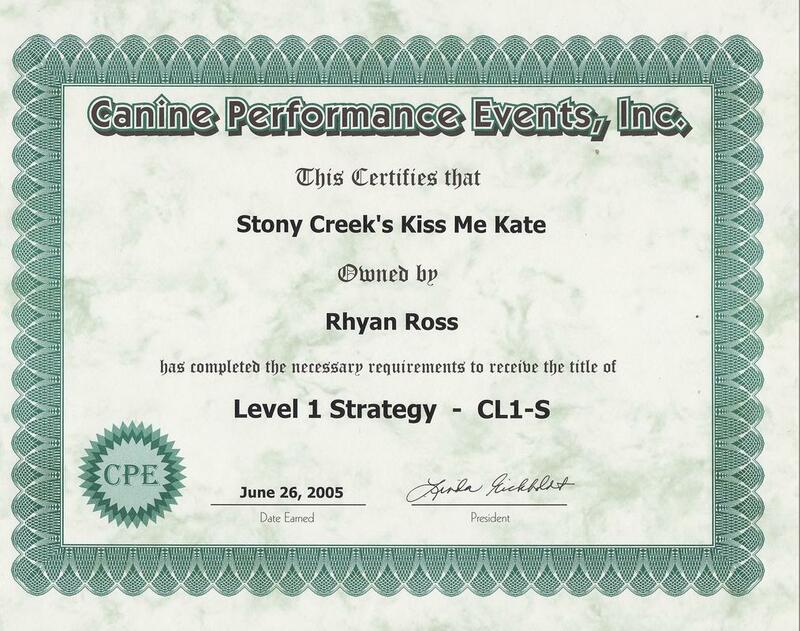 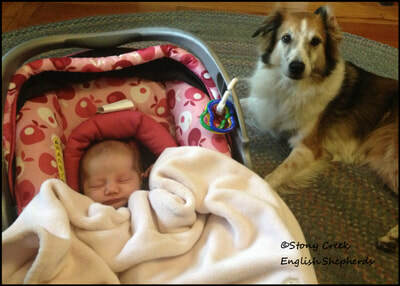 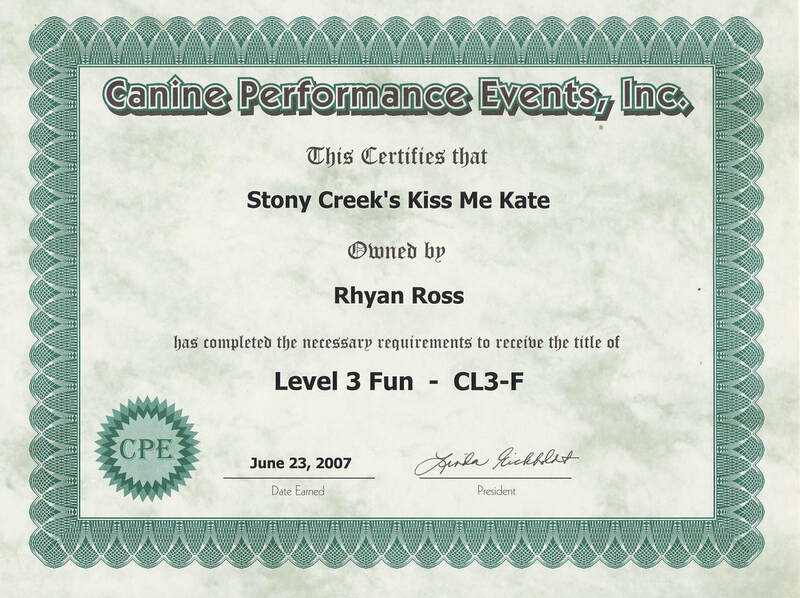 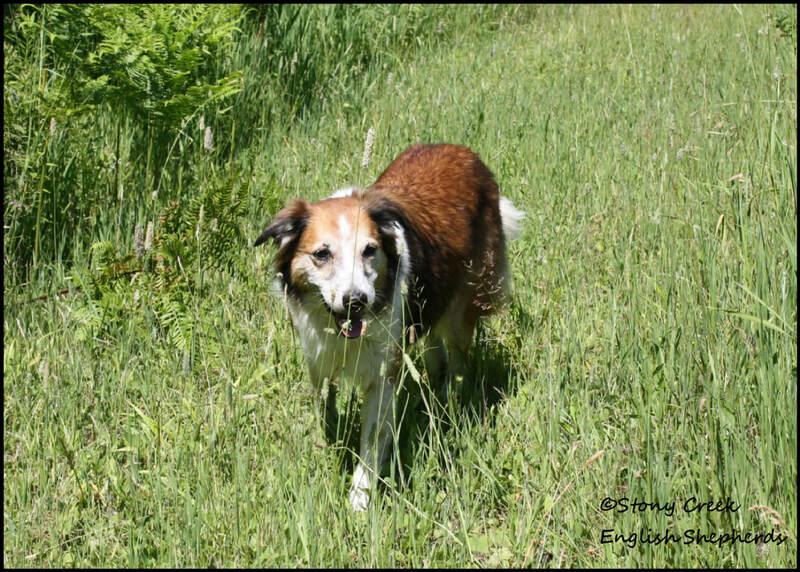 Kati was Rhyan's first dog she trained completely on her own at age 10. 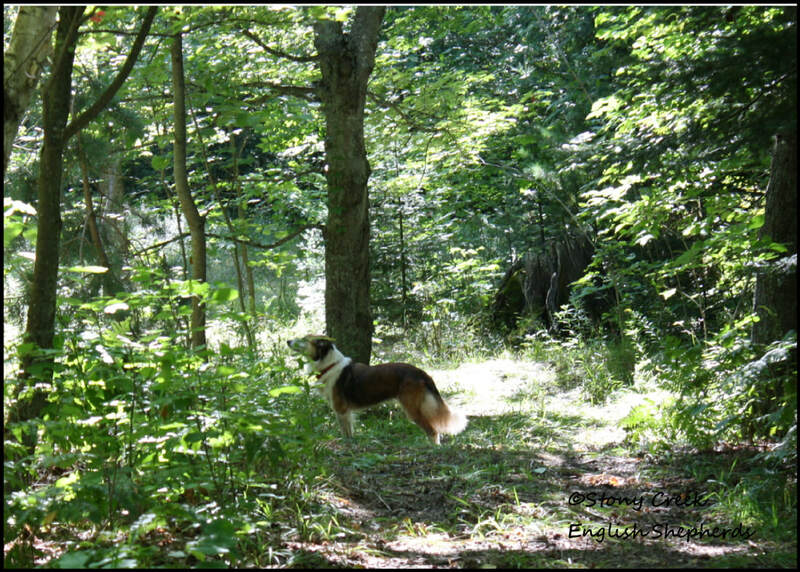 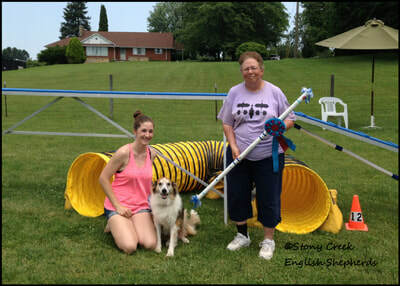 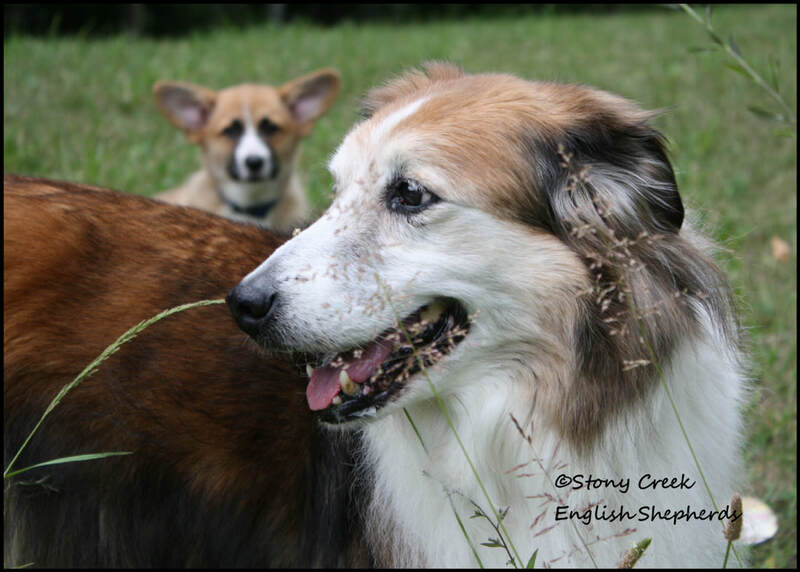 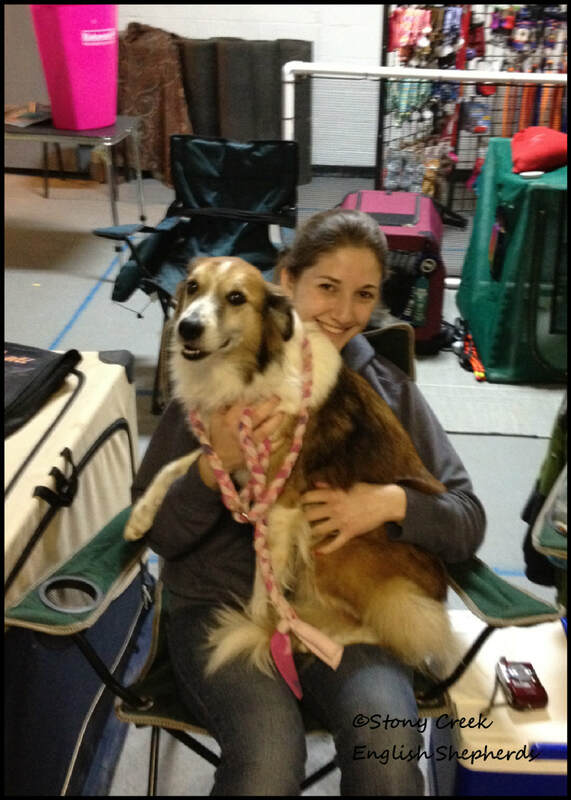 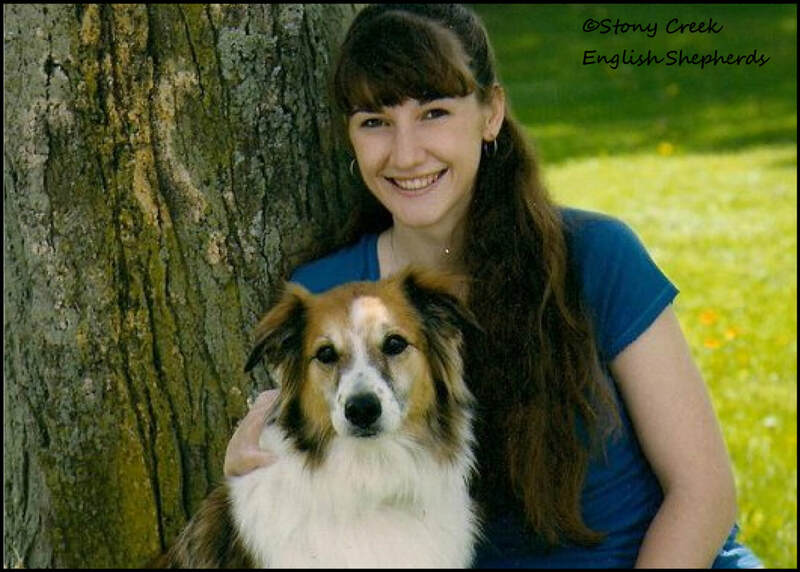 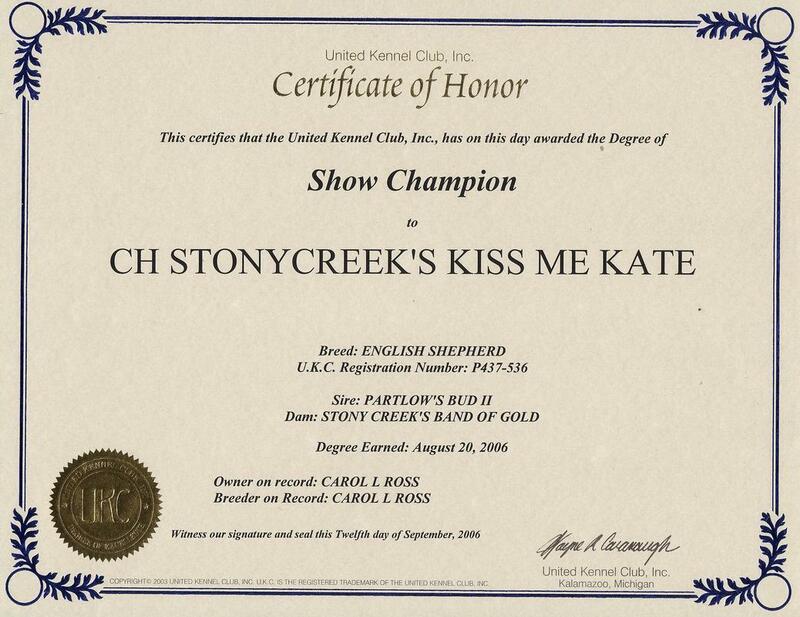 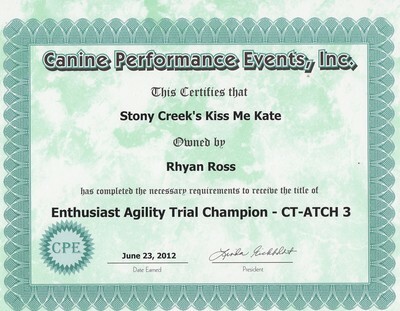 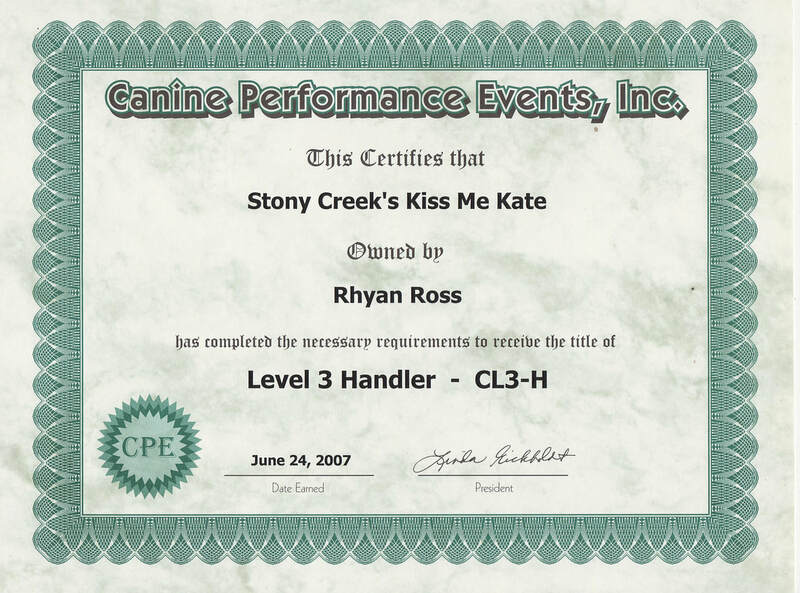 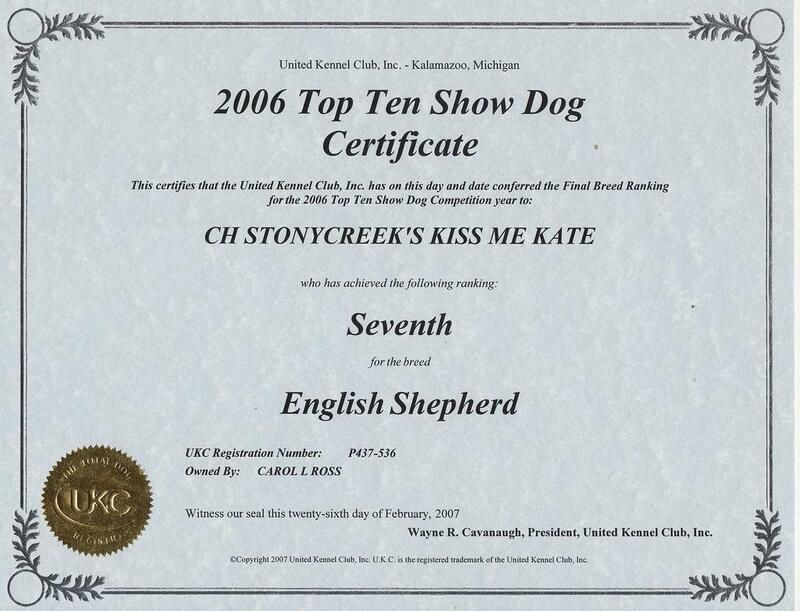 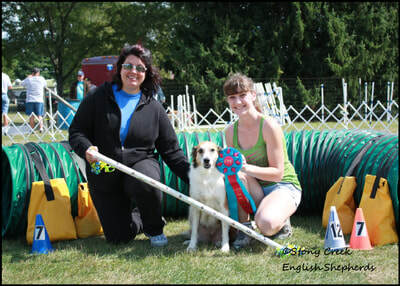 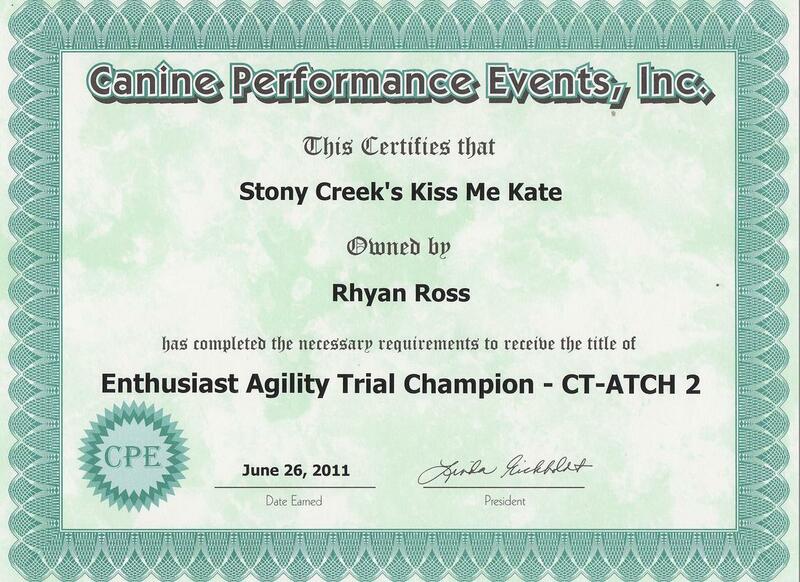 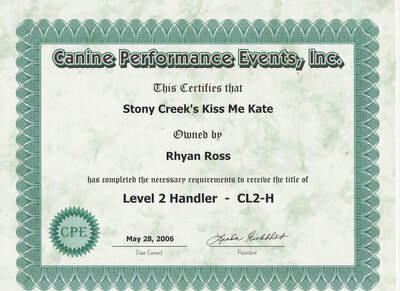 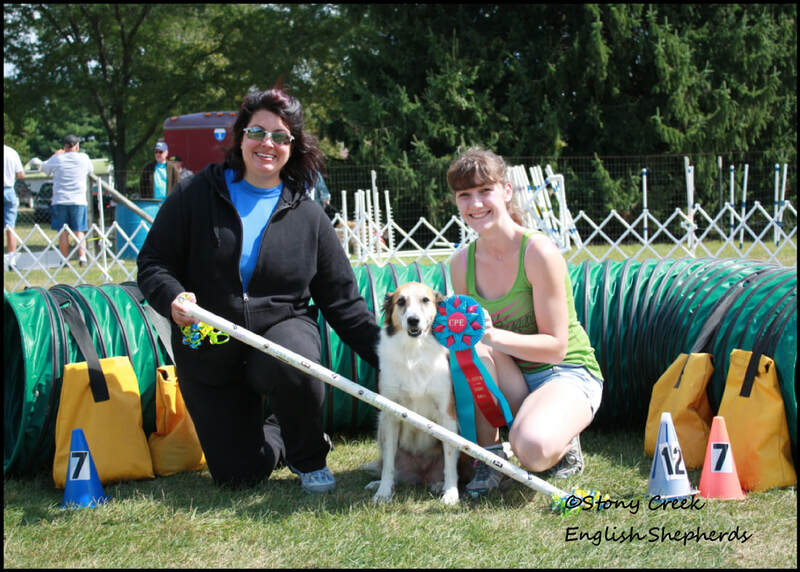 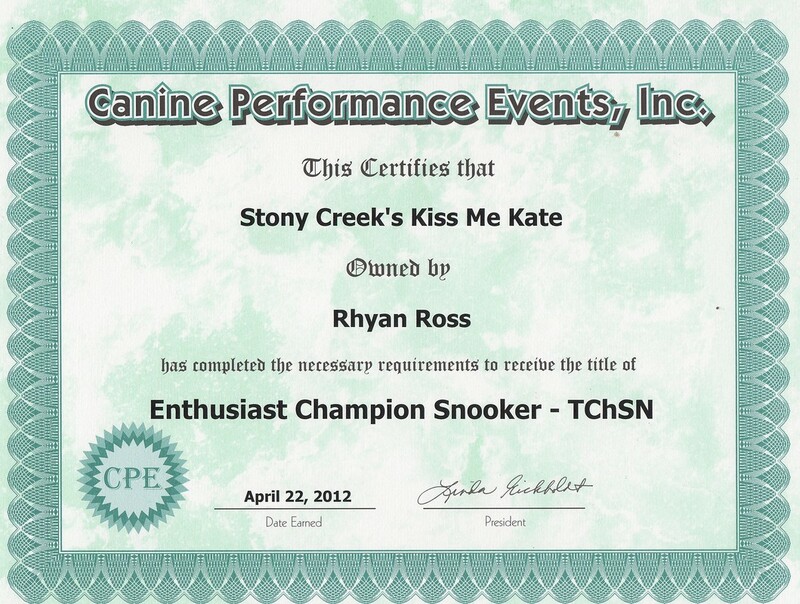 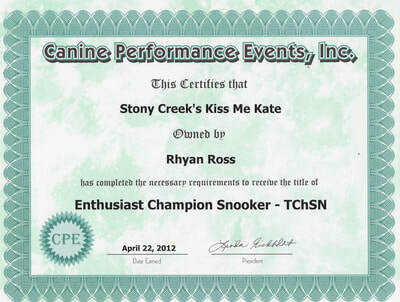 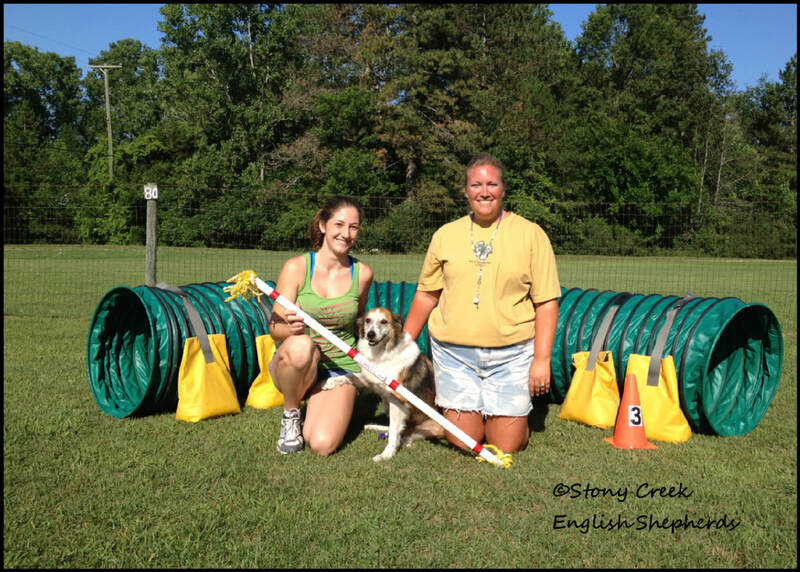 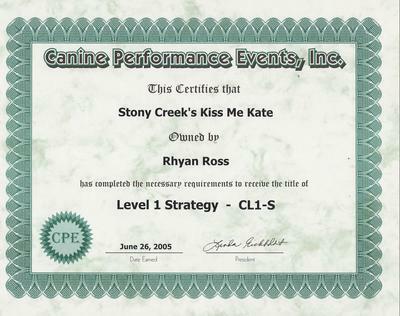 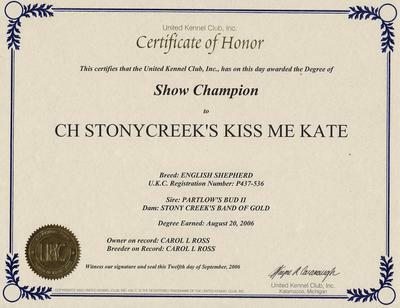 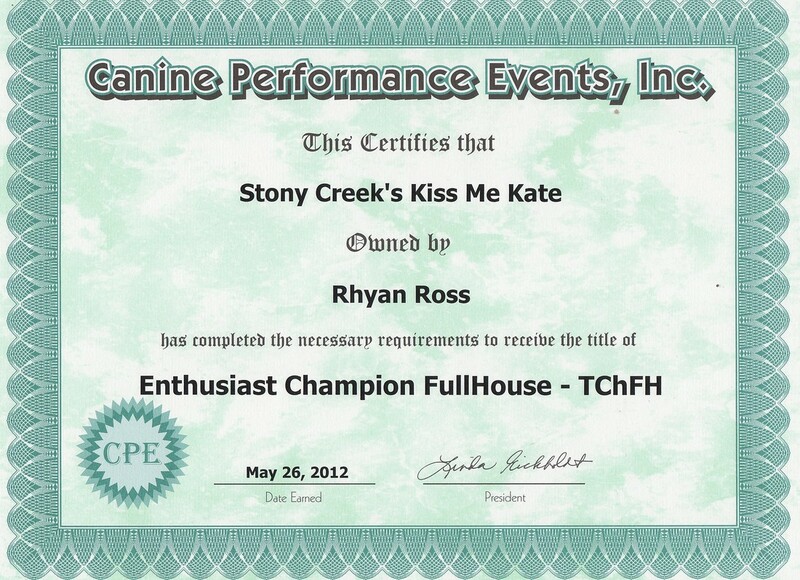 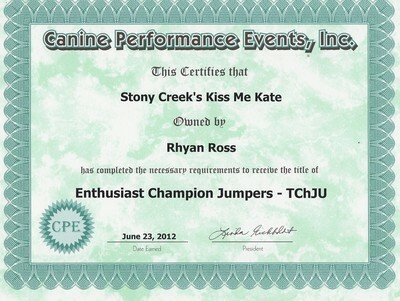 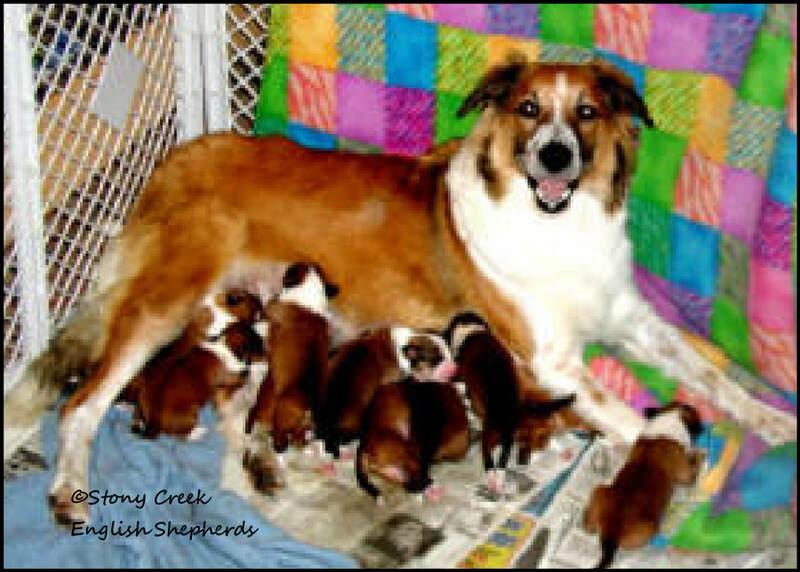 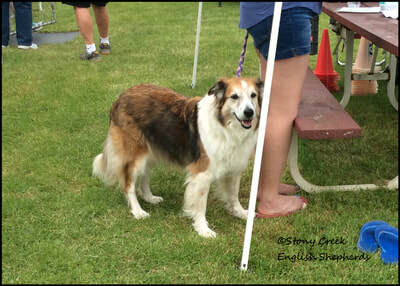 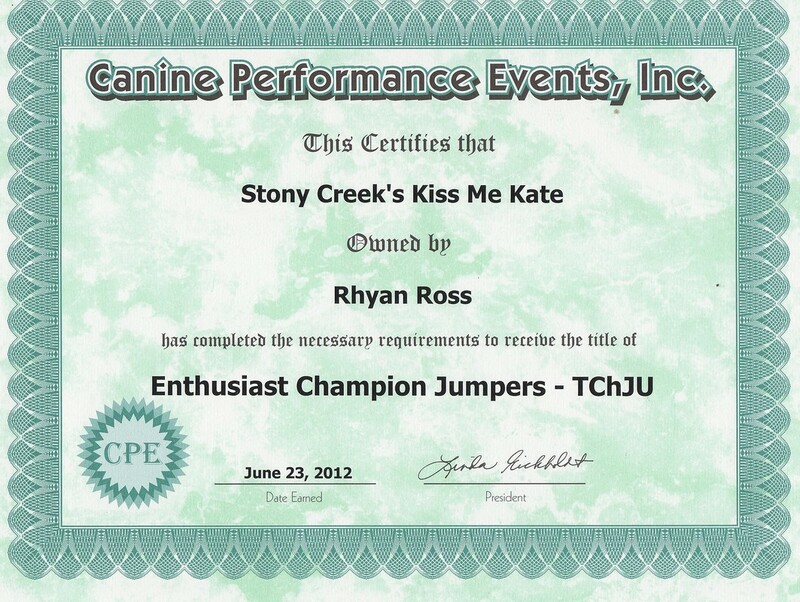 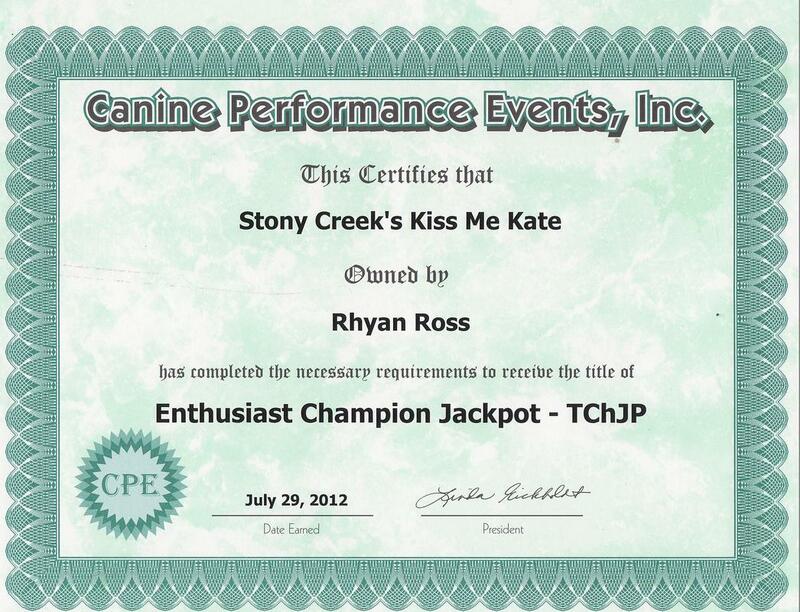 Together they competed in 4-H, obtained Kati's UKC Championship, & earned several CPE agility titles. 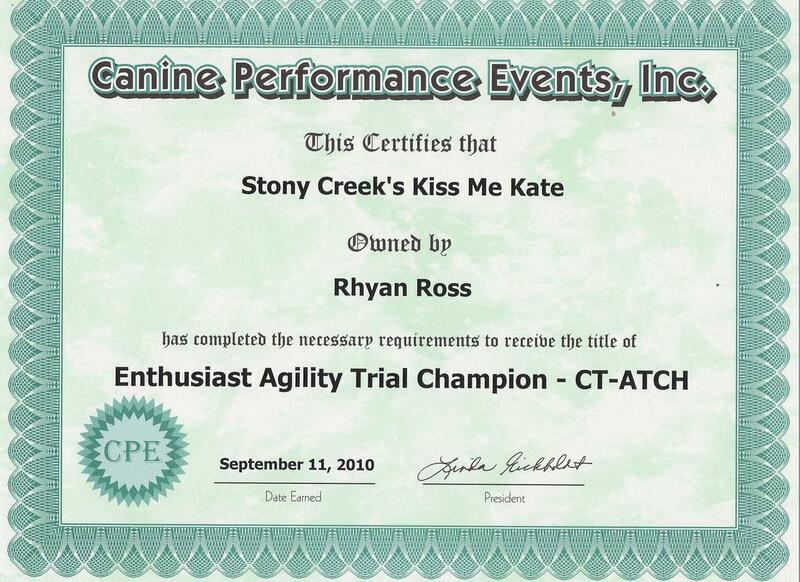 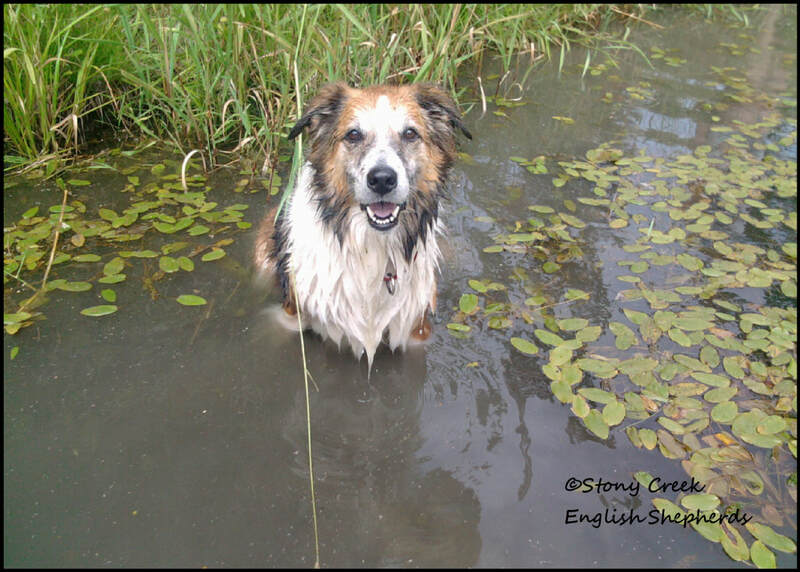 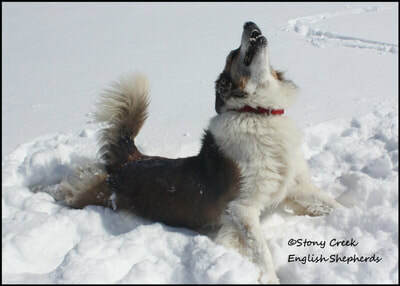 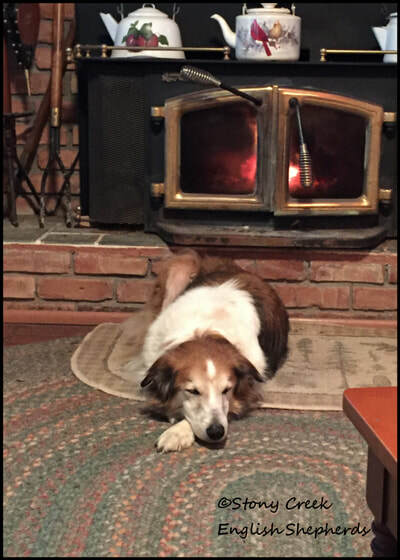 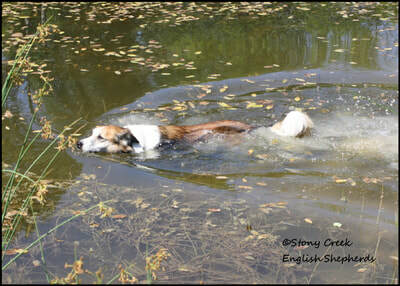 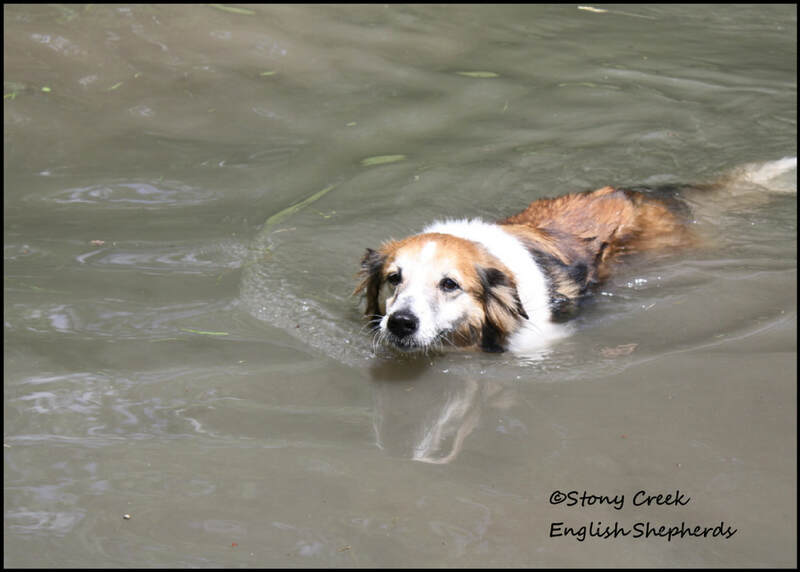 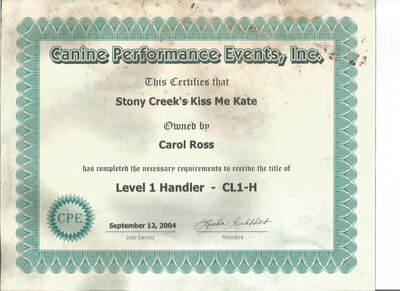 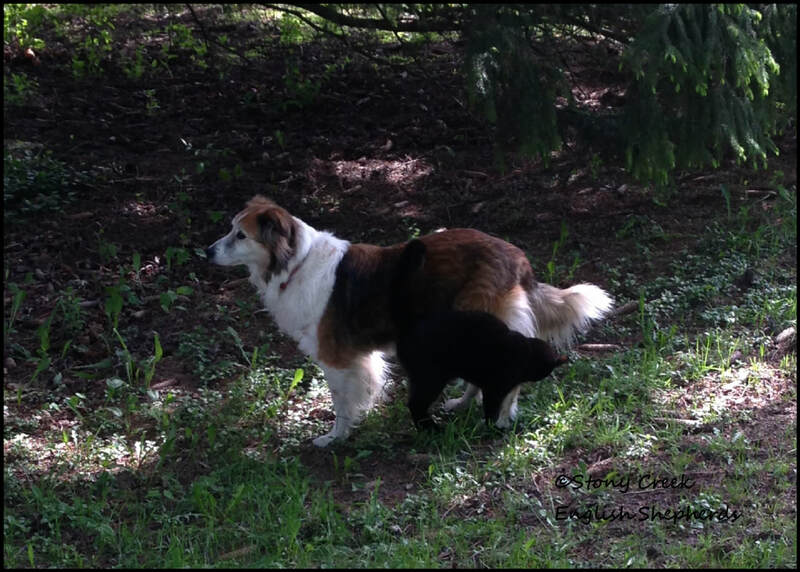 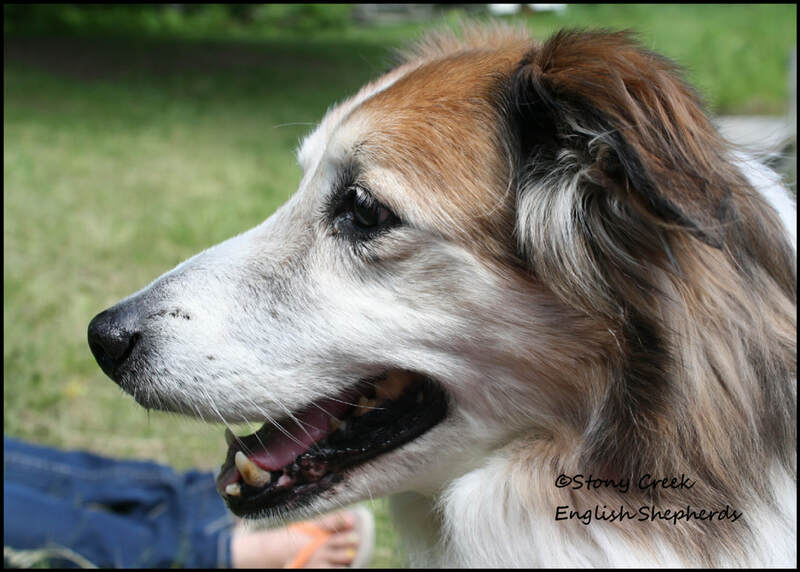 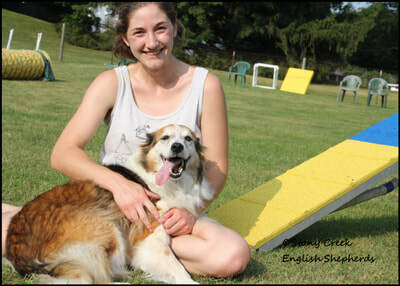 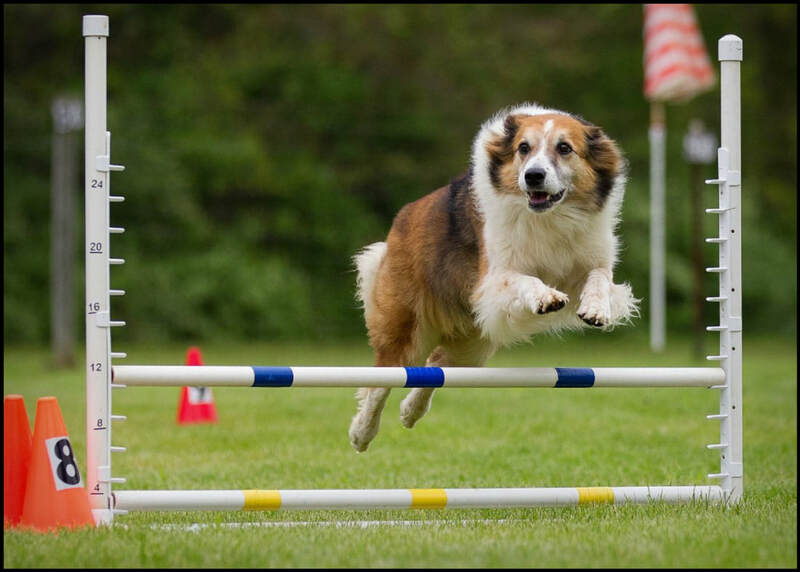 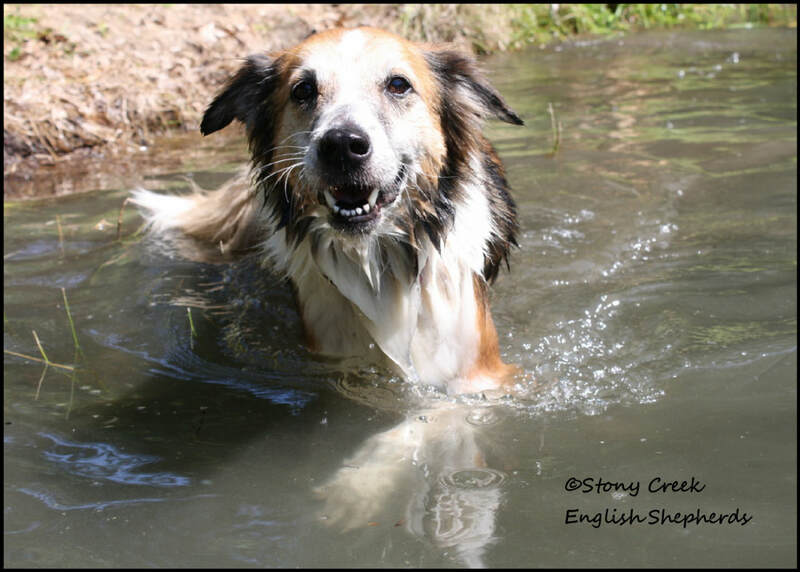 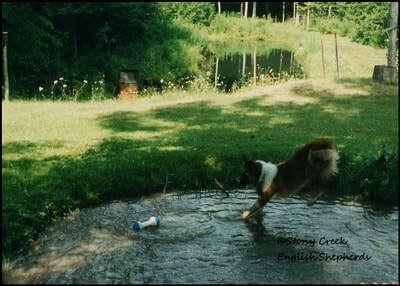 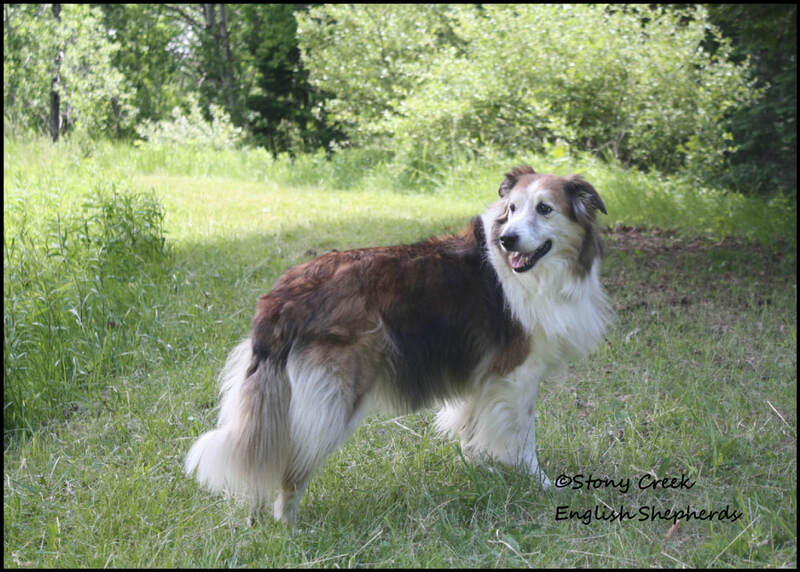 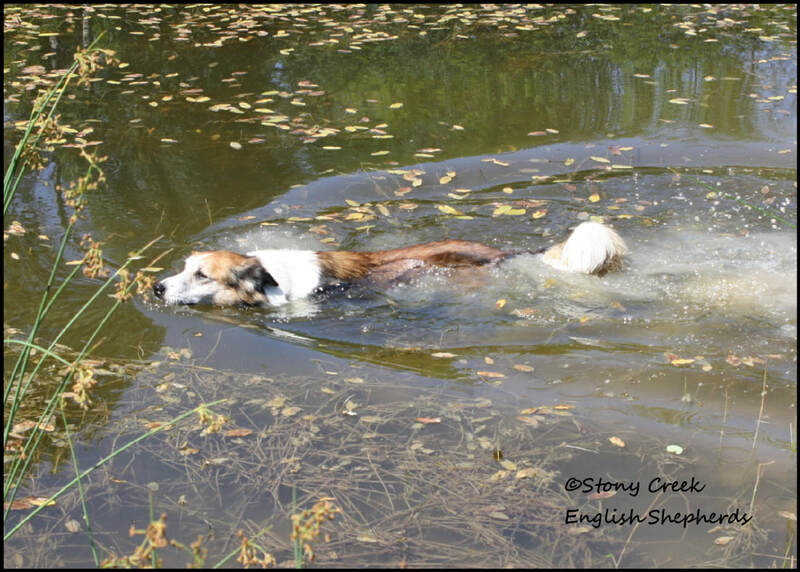 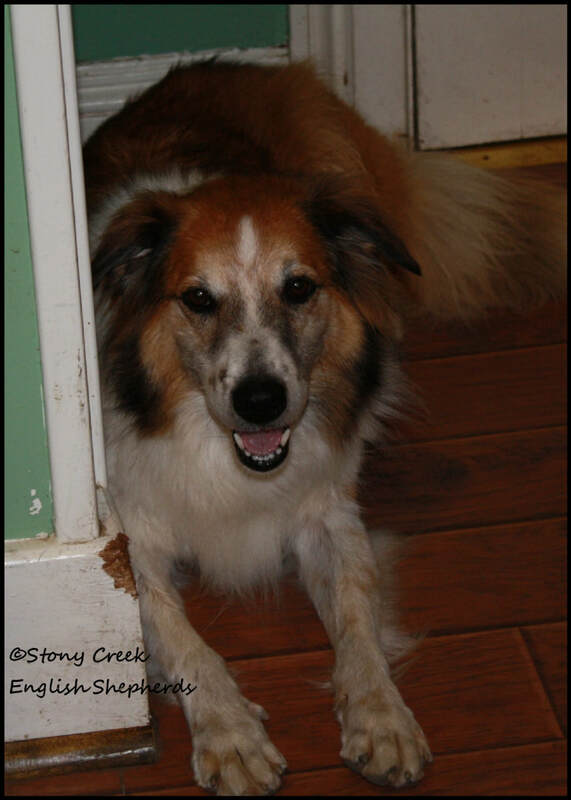 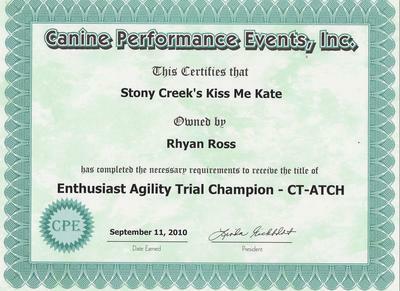 Kati was still competing in agility at 13 ¾ years old! 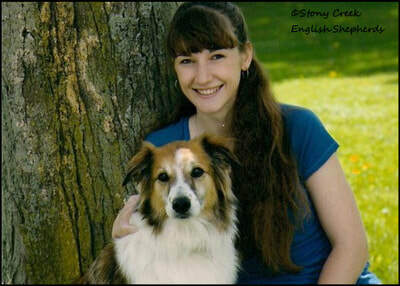 Kati is a very intelligent, eager to please & sensitive girl. She is a dominant girl but very nurturing. 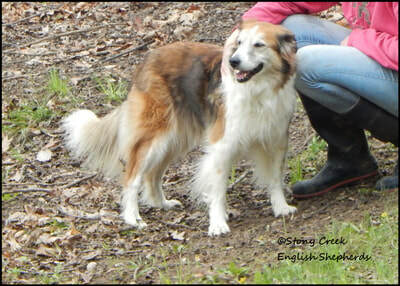 She is protective of her home & family but friendly when introduced. 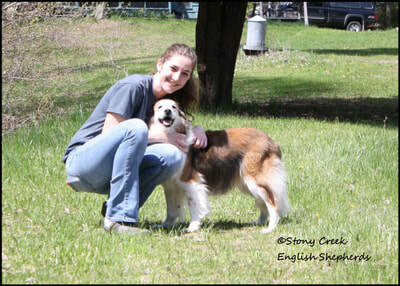 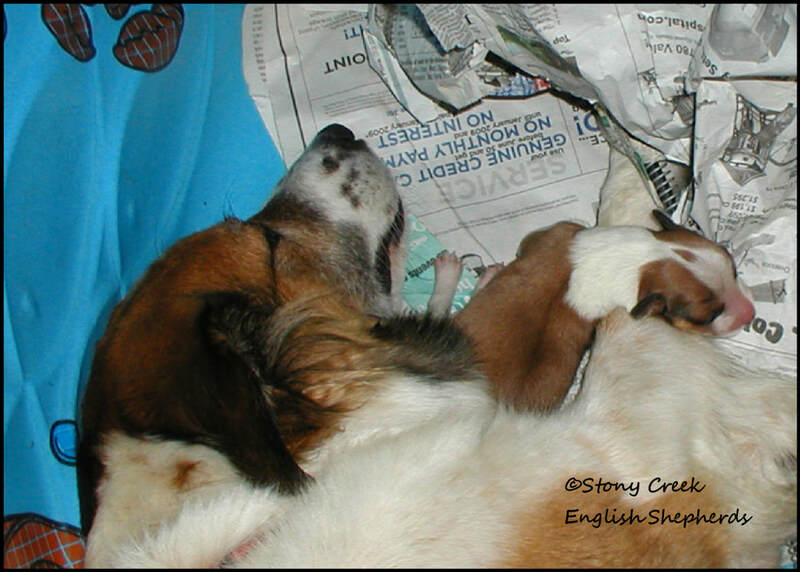 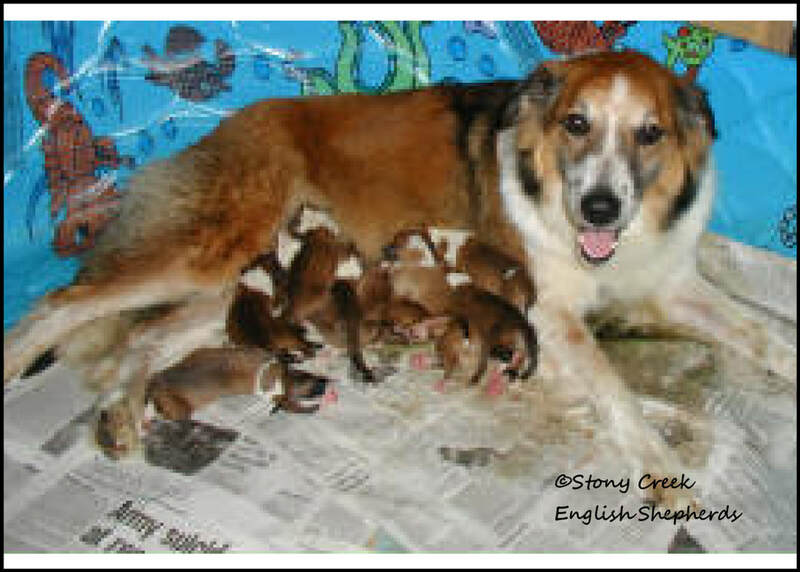 She is great with kids & other animals & all around has been an exceptional mother and friend. 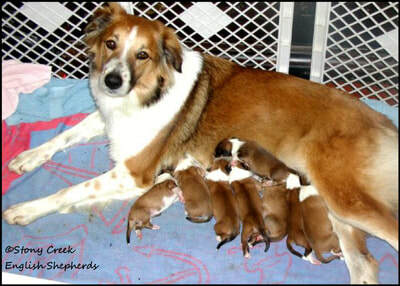 Kati is the mother of the "T", "U", "W" & "Z" litters.